The Optimist class in LRYC is a very important part of the overall sailing mix in the Club. It is the entry point for most sailors who will then grow up through the other classes in the Club. Optimist sailors gain knowledge of the mechanics of sailing and most importantly they develop a love of this wonderful sport that will stay with them for life. There are three areas where optimists are used within the club. Winter training, the ISA junior sailing courses and Club racing. There have always been a number of sailors who sail the regional and national events at which they gain great experience in sailing in big fleets and on the sea. A few have gone on to make the Irish team and have sail at international level. In 2003 Billy Henshaw and Ivor McNamara made it to the Irish European Boys Team and Cillian Dickson qualified for the under 12 squad. Lough Ree Yacht Club was represented at regional and national events by Sinead and Ruth Foy, Meadb and Cillian Dickson, Christine and Peter Mannion, Shane and Hailey O’Donnell, Simon Connell and Billy Henshaw. The 2004 top 70 ranked sailors include Cillian Dickson, Christine Mannion, Peter Mannion, Meadb Dickson, Shane O’Donnell and Ruth Foy. We wish these sailors success in 2004 and hope some make it through the trials to get onto some of the Irish teams. Each year starts with winter training with the aim of encouraging as many sailors as possible to get as much time as possible on the water before club racing starts at the end of May. 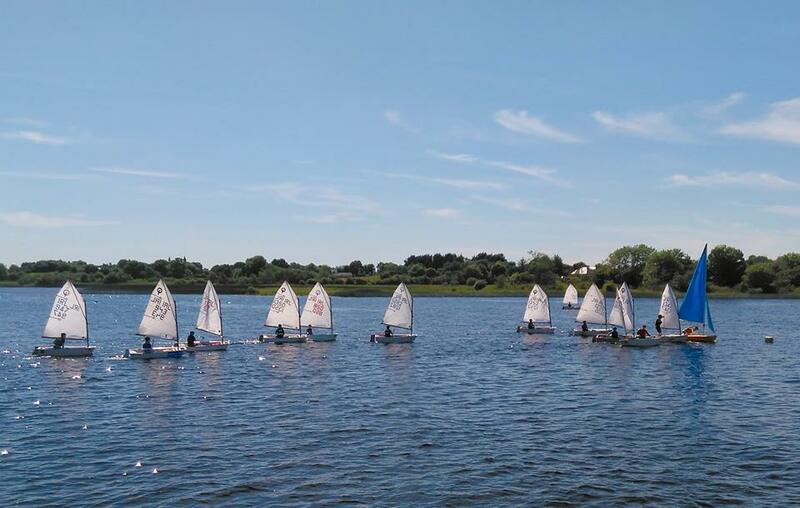 They develop good boat control and improve the other skills that they might have picked up in the previous years sailing course and through club racing. In 2003 there was an average of about ten sailors who took part and there is no doubting the benefits that they derived from this training. The sailors that took part were well ahead of their fellow sailors in Club racing during the season and were much more confident. Optimist sailors are offered a full schedule of club racing throughout the year. This starts in May and goes through until the end of September. Participants are divided into either the Gold fleet or Silver fleet, depending on their experience. Both fleets race together but there are separate prizes for each fleet. Winter Training starts again in October and runs until Christmas.